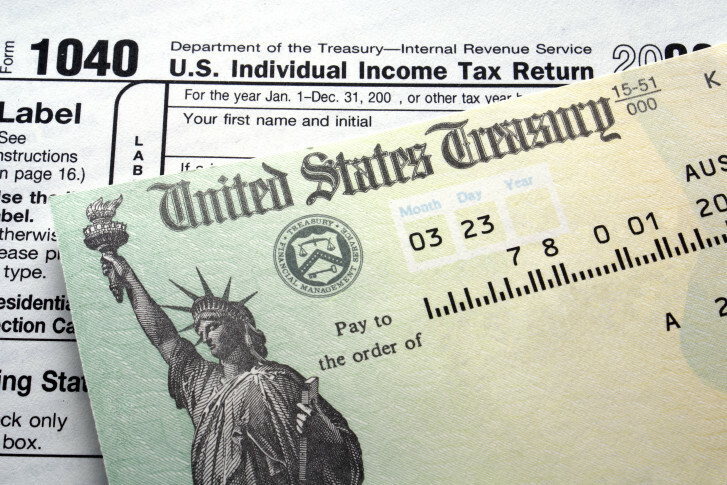 Expecting an income-tax refund? Don’t blow your windfall — either on the obvious (a shopping spree) or the insidious (the one investment you probably shouldn’t make, according to financial advisors). Instead, consider these tactics to make the most of an expected bonus. Yes, you’ve been waiting for it, but it’s not exactly found money. You earned it, so apply financial common sense. Translation: Financial advisors aren’t misers. If you channel most of your windfall to existing or new investments, it’s more than OK to skim off a bit for a new tech toy or a weekend getaway. Just decide in advance how much you’ll divert to the splurge and stick to the plan. Of course, as advisors point out, you should use your refund first to pay off debt or build your emergency fund before locking it into investments. It’s counterproductive, they say, to try to grow investments when you are losing twice as much in credit card or student loan interest. These three advisor-approved investments will likely make the most of a $3,000 to $4,000 refund. Apply it to a down payment or home equity. First, sort through your priorities. If you have short-term goals for building your portfolio, it may be smart to use your refund to stoke that goal, says Erik Dullenkopf, a financial advisor with MetLife Premier Client Group in Ventura, California. “If you are saving a down payment for a first home, second home or a retirement home, consider putting your refund toward that,” Dullenkopf says. Don’t worry about capturing much gain; just park the money in a safe short-term fund or even in a savings account, he recommends. “The risk [of investing in] bonds or stocks for a couple of years is not worth it,” he says. If you already own a home, consider accelerating the payoff of your mortgage by using the refund to pay down principal, Hastings says. Early payments “shave years off of the mortgage because the interest is calculated daily,” she says. You can estimate the direct impact of a couple of early payments by using a mortgage payoff calculator. Pay it forward. If you are thinking about the long term, one fast way to amplify the impact of the return is by adding it to your workplace 401(k) to meet the maximum match from your employer, says Suzanne Matthews, director of the Center for Financial and Economic Education at Westchester Community College in Valhalla, New York. If you are middle-aged and building your retirement account, consider opening a Roth individual retirement account with the refund to get a toehold with a post-retirement, tax-sheltered stream of income, Matthews recommends. The same holds if you have been pondering an educational savings plan, such as a 529 account. Financial advisors agree that simply having enough money to open an account feels like a barrier to many people. Using the refund to open the account makes it easier to get in the habit of steadily building it, even with small amounts. Diversify. “This is a good opportunity to look under the hood of your 401(k) and see if you want to add funds to some current investments,” Matthews says. If you have an itch to try something different with your portfolio, consider buying a specialty bond or stock fund with the refund. “Use exchange-traded funds to round out a sector you have an interest in,” Matthews suggests. If you are close to retirement and are cutting back on equities, apply the same theory to bond funds, she suggests. But there is one thing advisors say you shouldn’t do with that check: Take a flyer on a single stock. “Resist the urge,” Dullenkopf says. Sinking the money into shares of a single company doesn’t really complement your portfolio if you are already well diversified. If you have an itch to invest in something out of the mainstream, explore specialty index funds and ETFs instead. You’ll get a little of the excitement of a specialized investment, Dullenkopf says, with little of the risk.